The status of cinnamon as a possible “superfood” is debatable, as is its potential for having a healing effect on diabetes, but one thing that really can’t be argued – cinnamon is not only a sweet, great-tasting spice that works well sprinkled on an assortment of food and drinks, it also is nice to have around in terms of contributing to good health in other ways. 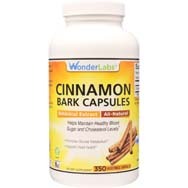 Cinnamon comes from the inner bark of the Cinnamomum tree, with strips of the bark dried until they curl up into cigarette-shaped rolls known as cinnamon sticks or quills, per healthline.com. A compound known as cinnamaldehyde is what gives this spice its flavor and aroma, with many of cinnamon’s numerous health benefits attributable to it. Whether your favorite use of cinnamon is to sprinkle some on your cup of joe or to go a bit crazy adding some onto your slice of freshly baked apple pie, cinnamon can play a strong supporting role in enhancing your health. 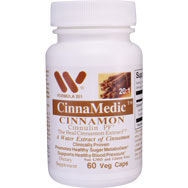 According to the U.S. National Library of Medicine, per medicalnewstoday.com, cinnamon has shown usefulness in treating muscle spasms, vomiting, diarrhea, infections, colds, loss of appetite and erectile dysfunction (ED). Diabetes. 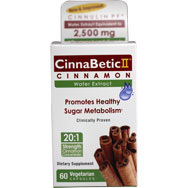 One of the debates about cinnamon is whether it can lower blood sugar in diabetics. 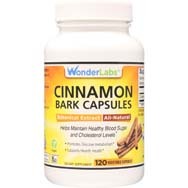 However, there is some research, per mayoclinic.org, that says cinnamon may be useful in terms of supplementing traditional diabetes treatment for those with type 2 diabetes. Multiple sclerosis. This is according to a neurological scientist at Rush University Medical Center, per medicalnewstoday.com. Alzheimer’s disease. It is believed to inhibit the development of the cognitive disease. Fungal infections. The cinnamaldehyde is a deterrent to material and fungal infections. HIV. 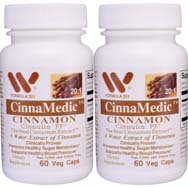 This is potentially an attribute of cinnamon, based on a study done with medicinal plants from India. Ceylon cinnamon: It is usually referred to as the “true cinnamon.” However, the Ceylon form is very expensive, although its taste is sweeter and more delicate than cassia, making it better suited for desserts and lighter dishes. It also contains a trace of a natural plant chemical, coumarin, which is found in higher concentrations in cassia cinnamon. Why is it important to know this? Coumarin is a blood thinner and can be a concern for anyone taking blood-thinning prescription medicine. It also has been found to be toxic to the liver and kidneys. 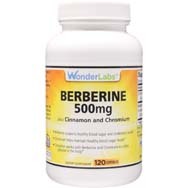 Note to readers: Wonder Labs has supplement products that contain cassia cinnamon, but which have been tested as coumarin-free. Ceylon cinnamon’s other potential health benefits, per livestrong.com, include helping with glucose metabolism, inducing weight loss, and acting as an antioxidant. Cassia cinnamon: Most cinnamon sold in the United States is the cassia variety, which is less expensive than Ceylon and is often labeled as Chinese cinnamon (Ceylon cinnamon is native to Sri Lanka). Cassia cinnamon sticks, which have a dark brown-red color, tend to be thicker and have a rougher texture than their Ceylon counterparts, per healthline.com, and it is deemed of lesser quality as well. Yet, cassia is what is found in most grocery stores, undoubtedly because of its cheaper price. Approximately 95 percent of cassia cinnamon’s oil is cinnamaldehyde, giving cassia a stronger flavor. Both Ceylon and cassia versions seem helpful in lowering blood sugar and thus helping to thwart diabetes, but cassia has been better studied on humans, per healthline.com, and has shown significant decreases in fasting blood sugar levels for both those with or without type 2 diabetes. 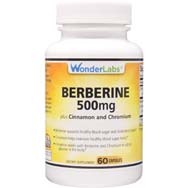 Note that cassia has a higher concentration of coumarin (1 percent) than does Ceylon (0.004 percent), so stay on the lookout for cassia cinnamon supplements in which the coumarin has been carefully removed, which is the case with products produced by Wonder Labs.